That's what we've done for us. Imagine what we can do for you. There’s one simple test for determining whether a company is really an SEO expert: fire up a search engine and put their rankings to the test. If they claim to offer professional SEO services and can’t manage to rank their own company for some of the top keywords, are you really confident they can help you? We have the game as well as the name – and we should. We’ve been playing at the highest level since 2002. If you don’t think you’re a large enough company to afford the most respected (and, if we do say so ourselves, best) SEO expert on the market, think again. We count JB Hunt, Westinghouse, and Century 21 among our extraordinarily pleased clients, but we also believe in small businesses with all our hearts. 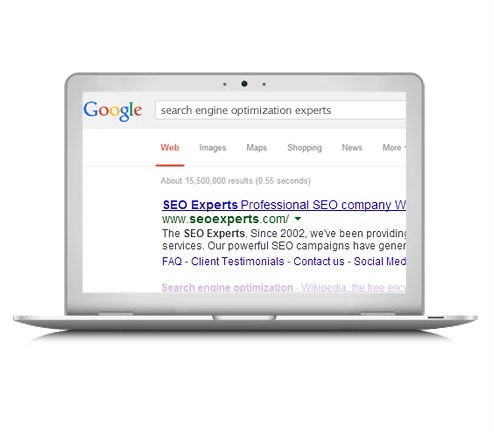 We’d hardly be the search engine optimization experts we claim to be if we couldn’t get big results even in a smaller budget. Every one of our clients – small business, medium-sized, and enterprise-level – gets our devotion to the highest possible ROI for every dollar they entrust to us.